UK Space Agency International Partnership Programme has 33 IPP projects across 33 countries, with 122 private sector, academic and NGO organisations consortiums members and 112 international partners. See more details on the IPP projects here. 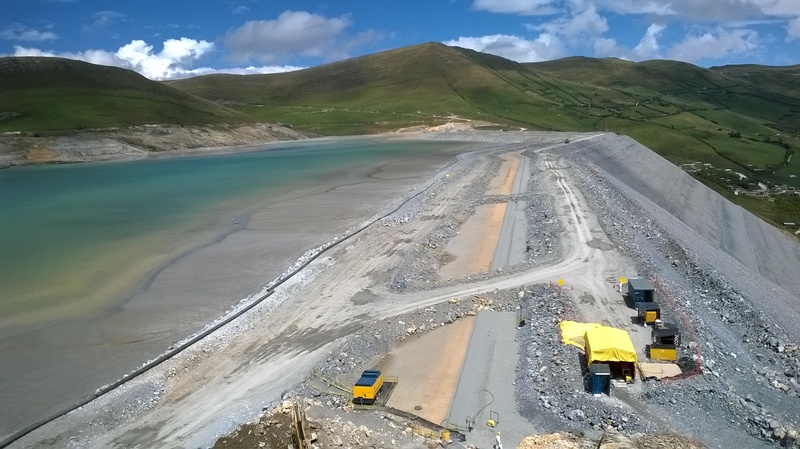 A project with HR Wallingford is working to resolve is the issue of unstable and unsafe tailings dams in Peru. Tailings dams are earth embankments used to store toxic mine waste and effluent which can be more than 100m high. They are often constructed with steep slopes using the residual tailings to save on costs. Their rate of failure is high, owing to inadequate design regulations and less rigorous construction methods than for normal water retaining dams. This can threaten populations downstream and adversely affect sensible environments. The rate of tailings dam failures is seen to be increasing, with 49% of serious tailings dam failures in the last 70 years occurring between 1990 and 2010 (Bowker and Chambers, 2015). Tailings dams often contain hazardous substances that can contaminate food chains and drinking water. Funded by the UK Space Agency, HR Wallingford are working with a consortium from across the UK and Peru. The solution combines satellite Synthetic Aperture Radar (SAR) interferometry and real-time Global Navigation Satellite System (GNSS) with a goal of achieving a high level of automation for dam monitoring. This technique will be less expensive and require less expertise to employ than existing monitoring. This tool will give government agencies the ability to monitor larger numbers of dams across remote regions and allow them to take proactive action and intervene. During a recent visit to the UK from our Peruvian partners, the UK Space Agency was happy to host a meeting with representatives from Universidad Nacional de Cajamarca: Escuela de Ingeniería Hidráulica, Facultad de Ingeniería (National University of Cajamarca, School ofHydraulic Engineering and Faculty of Engineering), Fundación Nacional de Ingeniería Hidráulica (National Foundation for Hydraulic Engineering) and CIEMAM. The UK Space Agency highly values the input of our international partners in our projects. Working with our Peruvian counterparts is essential for understanding the local context and the nature of the challenge. We value their expertise and commitment to the project.